Paul Pogba insisted he is not the one talking about his situation at Manchester United, less than 24 hours after making comments that cast further doubt on his future at Old Trafford. Speaking ahead of France’s goalless draw with Germany in their Uefa Nations League opener on Thursday, Pogba said he did not know “what will happen in the next few months” at United and reiterated that he has a tense relationship with under-pressure manager Jose Mourinho. But after the match at the Allianz Arena in Munich, Pogba absolved himself of responsibility for fuelling speculation about his future and insisted he is focused on performing on the pitch. The uneasy relationship between Mourinho and Pogba has turned publicly acrimonious in the first month of this season. Angered by his manager’s backhanded praise of his performances for France at the World Cup, the 25-year-old referenced “things I cannot say otherwise I will get fined” in conversation with journalists after United’s 2-1 win over Leicester City. Subsequent defeats to Brighton and Tottenham ramped up the pressure on Mourinho, while Pogba was criticised by a number of former United stars, including Paul Scholes, for admitting that he had brought the wrong attitude to the Amex Stadium. 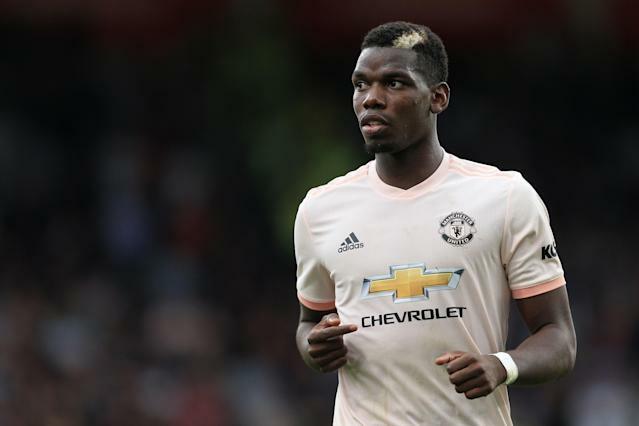 Pogba’s powerful and outspoken agent Mino Raiola responded on Twitter with a sarcastic quip that Scholes should become United’s sporting director and advise executive vice chairman Ed Woodward to sell his client, heightening the atmosphere of tension and dysfunction at Old Trafford. Barcelona were credited with significant interest in signing Pogba towards the end of the summer transfer window, though there is no suggestion that United would be willing to sell. Pogba’s seemingly contradictory comments about his future were also made in the wake of Barcelona striker Luis Suarez’s admission that the Frenchman would be welcome at Camp Nou. The Uruguay international told Catalan radio station RAC1: “Pogba is an elite player who’s won everything. He has a lot of quality and he is a key player for United.